Arachnoiditis is a chronic neuropathic pain caused by the inflammation of membranes surrounding spinal nerves. The roots of spinal nerves are covered and protected by two types of membrane, arachnoid or interior membrane and dura or exterior membrane. When the inner membrane gets inflamed, severe stinging, burning pain along with neurological disorders is experienced. The condition is known as arachnoiditis. What are symptoms of arachnoiditis? Spinal cord stimulator is a specialized electrical transmitter. The device with a set of microelectrodes is surgically placed adjacent to the spinal cord to create an electromagnetic sphere. Electrical impulses generated by the spinal cord stimulator interfere with the transmission of pain signals and obstruct nerves carrying them to the brain. Highly customized it can be programmed to deliver pulsed current to the spinal cord as per patient requirement. How does spinal cord stimulator work? The spinal cord stimulator emits electrical impulses, which stimulate nerves and alter the usual nerve activity. Known as neuromodulation, it affects the firing pattern of Aδ and C nerve fibers responsible for carrying pain signal to the brain and inhibits their excitability. As a result, pain sensation is suppressed and non-pain sensation transmission by Aβ nerve fibers gains predominance. Receptors in the brain do not receive pain signals over a long period of time and patients experience relief. Does the spinal cord stimulation eliminate the pain? Spinal cord stimulator is very effective in treating chronic pain conditions. Scientific studies highlight between 70 and 90 percent pain relief for patients with chronic neuropathic pain. How does a spinal cord stimulator work for arachnoiditis patients? Arachnoiditis lea ds to chronic stinging and shooting neuropathic pain in the spinal area. Due to spinal nerve inflammation and clumping together of spinal nerves inside the inflamed membrane, the transmission of motor sensations to the lower part of the body is also affected. This causes tingling, burning sensation, and numbness in legs and also affects motor functioning controlling bowel, bladder, and sexual functions. Spinal cord stimulation for arachnoiditis helps in obstructing the transmission of pain signals. Placing of the device next to the spinal cord directly impacts the pain signal transmission. The electromagnetic sphere created by electric impulses emitted by the device stimulate pain-signal carrying nerve fibers and prevent them from being excited while allowing non-pain sensation transmission continues without any hindrance. This inhibits pain feeling, reduces discomfort experienced, and improves motor functional abilities of lower extremities. Who is a candidate for spinal cord stimulation treatment for arachnoiditis? However, those with chronic, high blood sugar or using electromagnetic devices or diagnosed with an ongoing infection must avoid the procedure. Why should I go for spinal cord stimulator implant to treat arachnoiditis? 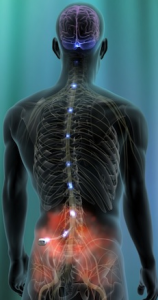 Spinal cord stimulation is highly effective for relieving arachnoiditis. The pain relief can be more than 70 percent over a period of 15 years and 50 percent over 20 years. Those with spinal cord stimulators do not need analgesic medication of any type for pain relief. Neuromodulation is also a long-term solution and patients do not develop any drug dependence. What are precautions to be taken before spinal cord stimulator implant surgery? Your doctor may suggest presurgical tests. Arachnoiditis patients are advised to stop taking certain medications, including blood thinners for a few days before the implant. 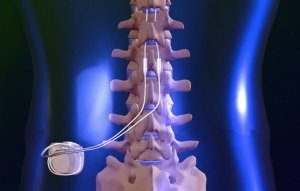 How is a spinal cord stimulator implant performed? There are two phases of spinal cord stimulator implant surgery for arachnoiditis patients. The trial stage: Doctors asses if the therapy is beneficial for a patient without any side effect. The actual implant: It is performed only if the trial is found to be successful. Is SCS trial implant a must for arachnoiditis patients? It is essential to have a trial run of the spinal cord stimulator prior to performing the implant surgery. The main objective of the trial to examine how effective is neuromodulation for a patient in ensuring pain relief and what are potential adverse events the patient could face. The high cost of spinal cord stimulator also makes it worth to check the efficacy prior to buying it permanently. It also saves patients from the hassle of secondary surgery if the device does not offer any significant pain relief. How is the spinal cord stimulator trial run performed? The SCS trial for an arachnoiditis patient is performed using IV sedation. A needle is inserted into the lumbar spine after the skin above is numbed. The spinal cord stimulator is wrapped around the waist and connected to a catheter that is placed inside the inserted needle. Your doctor will program the device as per your need. The stimulator is switched on and the electrical impulses are administered. The entire procedure takes about 90 minutes. The trial mode continues for a week and the pain relief is monitored. 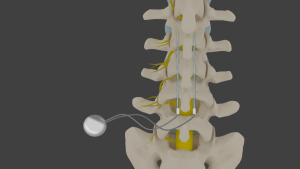 How is a spinal cord stimulator implant for arachnoiditis pain relief performed? If the trial becomes successful and the patient has significant pain relief without any side effect, doctors consider for a permanent implant. This is an invasive surgery and the device is placed inside the body. The patient is sedated using general anesthesia. A small surgical intervention is made to clear bony areas adjacent to the spine in the lower back area above buttocks to create space for the device. The device is placed securely attached to a catheter that passes through the soft tissues to deliver electrical impulses to the spinal cord. The surgery takes about 2 to 3 hours. What should I expect after spinal cord stimulator implant for arachnoiditis? The surgery is performed under general anesthesia. Patients are discharged after being monitored for a few hours. In some cases, an overnight stay is required. There will be soreness at the surgery site for 5 to 7. Pain relief is experienced immediately after the surgery. However, it takes at least 72 hours to stabilize. Doctors may prescribe medications for the first few days to avoid any post-surgical complication. What cautions should an arachnoiditis patient take after spinal cord stimulator implant? Take rest for a week. No twisting or bending for 6 weeks. Avoid stressful work for 6 weeks. How long does spinal cord stimulator implant for arachnoiditis pain relief last? Spinal cord stimulation is a long-term pain relief measure for arachnoiditis patients. Once performed it continues to offer pain relief for more than 20 years. You have the option to buy stimulators with internal or external batteries. For stimulators with external batteries, a tiny cord attaches the device with batteries placed around the waist. Such batteries are replaced easily. Those with internal batteries need surgical replacement once in a few years. The battery is replaced and the device is inserted again. When is pain relief experienced? Pain relief from arachnoiditis is immediate. Patients experience the benefit within hours of the surgery. However, the immediate results vary within the first two days and stabilize only after 72 hours ensuring permanent level of pain relief. What are side effects of spinal cord stimulator implant? Spinal cord stimulator implant is relatively safe with less than 5 percent risk of rejection. Unless performed by an expert, it may result in surgical complications, infection, bleeding, injuries to nerves, and device migration. How beneficial is spinal cord stimulation for arachnoiditis pain? Nearly 50,000 spinal cord stimulator implants, over 70 percent of all neuromodulationfor pain relief, performed every year. For those unable to undergo surgical treatment, SCS treatment is a god option to prevent chronic pain and consequent disability. While 77 percent patients experience pain relief from arachnoiditis, about 84 percent have improved quality of life when treated with spinal cord stimulation. Studies in the past showed that the neuropathic pain relief can be as high as 88 percent and more than 80 percent implanted with the device do not need any painkiller. Spinal cord stimulator implants for failed back surgery syndrome and arachnoiditis are exceptionally helpful at relieving pain and changing one’s life. Dr. Yeddu at Desert Interventional Spine Consultants is an expert in the procedure for all types of pain, with most insurance being accepted. For the top pain management in Gilbert, Chandler, Mesa, Queen Creek and the East Valley, call us today!